I recently got to sample some of the delicious and various cured meats (salumi) at Bettola, courtesy of Chef James Lewis. 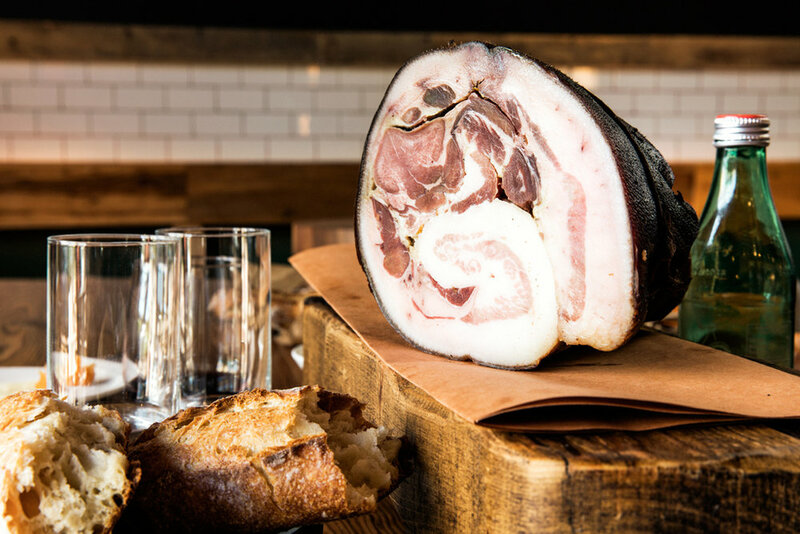 Two stand out items (below) were an absolutely gloriously looking headcheese and a prosciutto he cut for the shoot that had been curing since 2012. Mmmmmmmm.